Details about the 2019 INFINITI QX60 are finally available. What do we love most? The striking interior and exterior design elements. The exterior features an enticing LIMITED dark chrome front grille and daring lines. The interior provides ample room for both driver and passengers, and the luxury treatments are unique and beautifully accented with dark silver wood. Beyond the design, the QX60 is sure to impress those with a need for speed with its 3.5-liter V6 engine with 295 horsepower. Interested in getting behind the wheel of the INFINITI QX60? 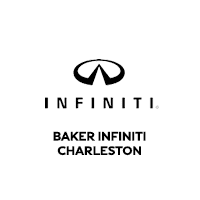 We welcome you to visit us here at Baker Motor Company in West Ashley.